Philip is part of the team that leads Emmanuel at the Clarendon Centre. 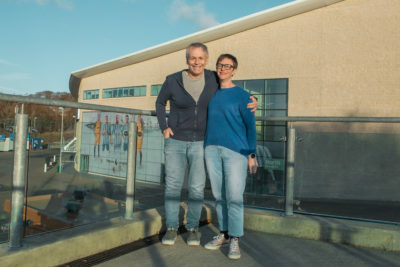 Brighton lifers and avid health fans, Philip and Melanie can normally be found running along the Telscombe under-cliff or smashing out a spin class in Virgin Active. Their penchant for adrenalin extends to a love for mouth-scorching curries with the whole family – including five children; Madison, Molly, Hudson, Indiana and Levi – ardent fans of the chilli rush.